Early Thursday morning, a tragic Greyhound bus accident in Fresno, California caused six deaths and more than 30 injuries. Accidents this tragic are rare but not rare enough. Needless to say, the overwhelming majority of Greyhound’s 25 million yearly passengers split among the company’s 13,000 daily departures arrive at their destinations safely. But the routes that don’t arrive safely stick out, as highlighted by last Thursday’s Fresno accident. And as the nation’s most recognizable carrier, the severity of its accidents are indicative of the bus industry as a whole. Greyhound has unfortunately been involved in major accidents that have led to multiple deaths and dozens of injuries in the last decade. In the last two years alone, its buses have been involved in nearly 140 bus accidents that led to injuries, deaths, or towed vehicles, according to the Federal Motor Carrier Safety Administration. October 3, 2001: Soon after the terrorist attacks on 9/11, a suspected terrorist murdered a Greyhound driver and sent a bus careening into traffic in Tennessee. The resulting accident killed five and injured more than 30. Authorities considered it an isolated act, and not part of a larger terrorist threat. The assailant, Croatian Damir Igric, was also killed in the crash. The accident prompted Greyhound to boost security procedures at all affiliated bus stations. September 30, 2002: A year later, another passenger attacked a driver on a Greyhound traveling from Los Angeles to San Francisco. Two passengers died and more than twenty were injured when the bus rolled off an embankment and crashed after the driver was killed outside Fresno, the same location of Thursday’s accident. In response to the attack, Greyhound installed driver shields in all vehicles and prohibited passengers from sitting in seats directly behind the driver. November 27, 2005: More than three years later, on the same bus route from Los Angeles to San Francisco, a Greyhound bus crashed leaving several injured and two dead, including a 23-year-old pregnant woman. At the time, authorities said driver fatigue was the most likely cause of the 7:10 am accident. “There’s a strong possibility that the driver fell asleep and ran off the road,” said California Highway Patrol Commander Dan Minor. Two years later in a related lawsuit, a epileptic seizure was called the likely cause. August 28, 2006: On route between New York and Montreal, a Greyhound bus overturned after one of its tires popped on Highway 87, leaving five dead and 48 injured. “I just heard a noise, a rattling noise, and then all of a sudden it lost control,” said driver Sylvia Jean Cracier. July 3, 2007: On its way from New York City to Richmond, VA, a greyhound bus carrying 48 passengers inexplicably caught on fire on the New Jersey Turnpike. January 2, 2008: Over in North Carolina near the Virginia border, a Greyhound bus overturned when it rear-ended a truck after that truck slowed to make a turn. The bus fell down the embankment and leaving 48 passengers injured, including the driver and an elderly woman in critical condition. February 24, 2008: The next month in Pennsylvania, a Greyhound bus flipped over on Interstate 380 near Scranton, injuring more than 40 passengers, two seriously. The cause of accident was not immediately clear, but highway officials said driver fatigue may have been a factor, since the accident occurred at 4:15 am. March 16, 2010: The week after a Greyhound bus underwent a maintenance check, its driveshaft popped and sent the bus spinning for hundreds of feet before coming to a stop on a highway near San Antonio, Texas. “The driver reacted when she heard the popping sound. It alerted her attention that something wasn’t right,” said Department of Public Safety Captain Steven Tellez. “Certainly without the drive shaft or without the full operation, it could have affected her being able to control her bus.” The accident left two dead and 40 inured. May 6, 2010: A misunderstanding on a Greyhound bus in New Hampshire led to the perception of a bomb threat and a nine hour standoff with local police authorities in May. The confrontation began when a passenger believed he overheard a bomb threat over the phone while sitting next to a man from Burundi. Though the other passengers evacuated the bus safely, the accused man refused to leave out of fear of retribution. The bomb threat was later found to be false, but a police officer on the scene said it was likely the man simply had a fear of police officers. July 22, 2010: There remain a handful of important unknowns about the cause and effects of last Thursday’s Greyhound bus accident in Fresno. California Highway Patrol officers have said the driver likely swerved to avoid hitting an overturned SUV, but authorities are unsure about the time or cause of the SUV crash. It is also unknown whether the women in the SUV, who were among the fatalities, were killed by the initial crash, or the Greyhound collision. Due to the necessity of keeping buses full of passengers to make the ride cost-effective, bus accidents usually cause significant damage both in terms of quantity and severity of each injury. Previous accidents have clearly led to a review, and in some cases a change, in Greyhound’s internal policies and security measures; sadly, this one hasn’t even led to a tweet from the company, let alone a press statement or any internal investigation. Our thoughts are with the families of those who were killed and injured on Thursday. We hope the most recent accident in Fresno will serve as a wakeup call that stricter regulations are needed for passenger vehicle safety–for all bus companies, including Greyhound. I was in the most recent fire on a Greyhound bus, on August 23rd in West Virginia on I-70. No one was hurt, thankfully, but Greyhound’s treatment of the passengers in the aftermath has been worse than I thought possible for an American company. We have been left to our own devices to file paperwork for $250 for our lost luggage, and there is no central person handling the case who can answer passengers’ questions. The event was traumatic and left a lot of people grieving for their lost belongings, without so much as an apology or courteous gesture from Greyhound. I feel for the people who may not be good advocates for themselves, who may have trouble pursuing the information they need in order to be compensated for their loss. In addition, Greyhound has taken no responsibility for alleviating the trauma that this event has brought to a wide variety of passengers, including tourists from abroad. I have also been surprised to learn that there have been many bus fires recently, leading me to feel now that my safety was not a concern to Greyhound in the first place. Greyhound knew that fires have been a problem and they did nothing to prevent it. Is there anything that can be done legally to ensure that all of the passengers receive due compensation and treatment for possible PTSD? Is there anything that Greyhound is legally bound to do for its passengers? Or are we screwed? I very much look forward to your response. Thanks again. And good luck moving forward. Thank you for your response and I will take it to heart. As an addendum to my original message: I am definitely interested in “moving forward”, and I appreciate the well-wishes. But I am also OCD enough and humanitarian enough and resourceful enough to stay on this topic for a while. I have learned more about the incident since my original message to you, and the lack of courtesy has become less of a concern to me now than the company’s lack of honesty. I hope to do my part to bring about some small change by not letting it go too easily. I truly appreciate your time. 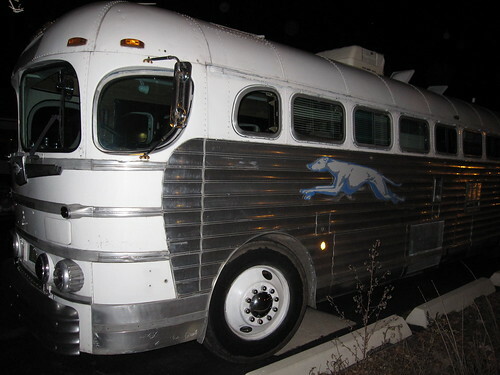 I think that Greyhound is owned by someone other than Americans. I not 100 0/0 sure but I think they are foreign owned. I am planning a trip which will take 3 days across country. After reading all these stories I am very worried. My thoughts were that if there is an accident, Greyhound will send another bus to get us to our destination as they are a big company. I am not in favor of driving day and night by these drivers but my only choice I guess as it is much cheaper than flying but now I am wondering if I should fly. It took me 7 days last time I drove across country due to it being in winter and I will not drive after dark for safety reason. The thing is with Greyhound I can take extra luggage and pay for it at a reasonable charge. I don’t have a car now so looking for best and cheapest but safe. What seat positions on the bus are the passengers in that are fatalities in such accidents? Are most fatalities in the forward area? Only on the right side? Both sides? how do busses compare with air travel, trains and cars? How do they rank as safest? with least fatalities per passenger miles? Greyhound is own by First Group, an English company. The only thing they care about is money, this company does not have the equipment or the the drivers to operate efficiently, most of the time they leave passengers every where with no regard for their safety and well-being. Most of their older drivers are very experienced and concern about their passengers but the company can care less about the passengers.